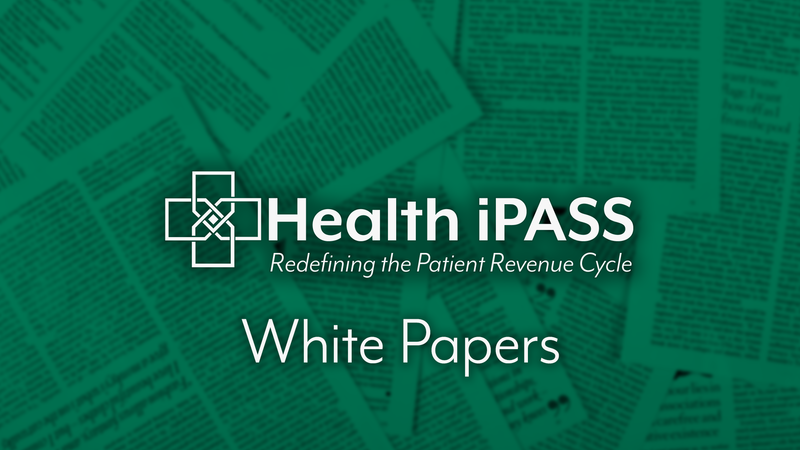 Health iPASS is releasing a new white paper! Well, sort of. We have updated our previous patient payment white paper “ Top 10 Best Practices to Accelerate Patient Payments” and are releasing a new version with updated statistics and data reflecting changes in the patient revenue cycle over the past 2 years. Despite the advancements in patient payment collection technology, 2018 proved to be yet another challenging year for medical providers tackling the growing risk of collecting patient payments. This whitepaper highlights the top 10 ways to accelerate patient payments, offering practical tips and advice that can be immediately implemented to lower bad debt, collect more money from patients, and improve patient relations.